This was my first time visiting Amsterdam. It was a trip I had planned to the last detail as I had many fabulous places to visit, mostly food related but of course also sightseeing. 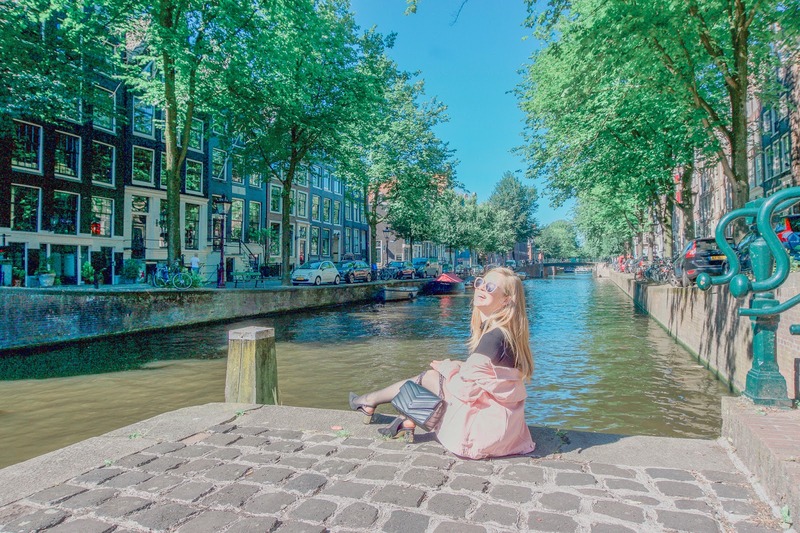 In the first few minutes I was already in love with Amsterdam's charming canals and captivating architecture. There was also a very pleasant atmosphere in the air that attracted me. Our first stop, even before checking in, was Ree7 for breakfast. It was delightful with a few cute little tables outside and a surprisingly big interior seating area that had the cutest simple decor. 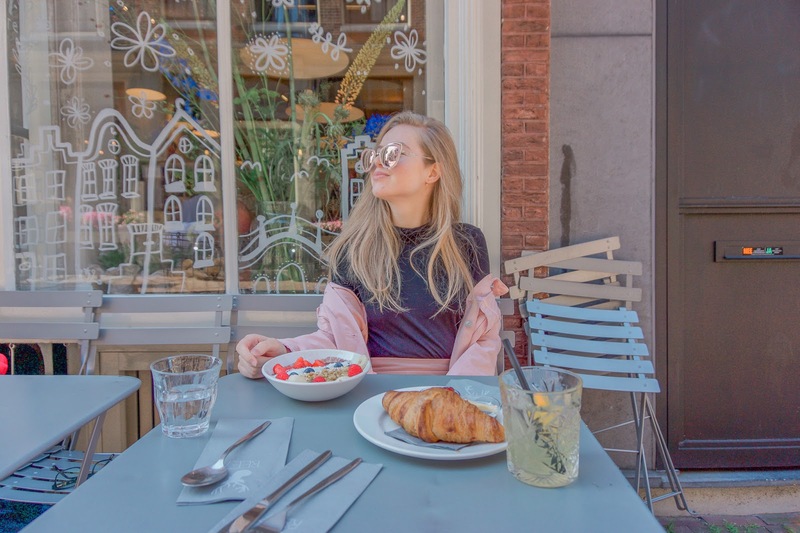 We had a very early 6am flight to Amsterdam, so we were tired but excited to explore which is why after breakfast we decided to stroll around the canals til our hotel. Since it was early there were few people on the streets which made the experience perfect, so serene and relaxing to simply admire the city undisturbed. 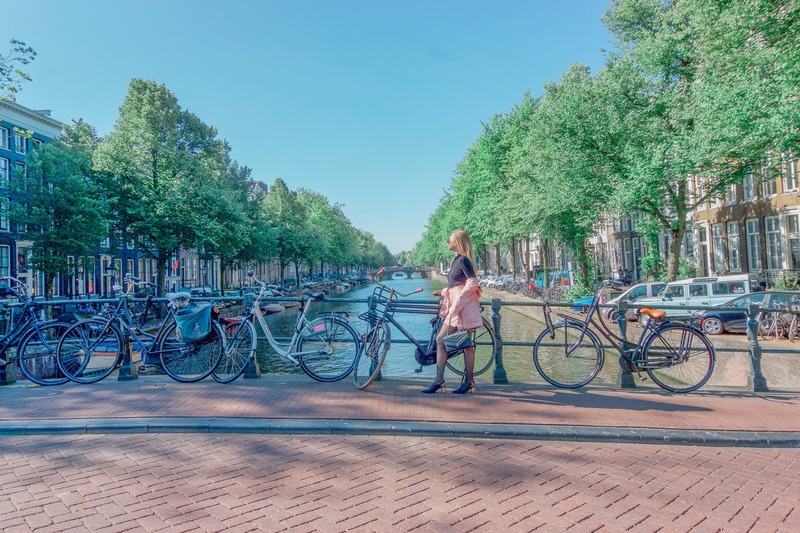 Have you visited Amsterdam and what was your first impression? Very cute this look in pink! Your are so gorgeous on your photo shoots. Nice views tho! I love your post. You look so beautiful on your photos and the view as well. Such a dream! I would love to visit Amsterdam and I always love seeing pictures of it. Hopefully one day I will get to visit. You look amazing and hope you have a wonderful time. I like your instagrammable photos. And you look beautiful as always. You always surprises us with your beauty and that's why many are looking forward on your post. Refreshing in my eyes! I love the place and the views too. One of the beautiful place. Amazing post! You never cease to amaze me with your blog content.All the Best! You’re looking very edgy on your post. Great inspiration!